A translator struggling to redefine her work, her family, and her sense of self gets a call from a Nobel Prize-winning Italian poet who insists she’s the only one who can translate his newest book. 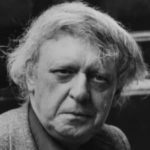 In Good on Paper, translation serves as a continual metaphor for relationships: Translation is a kind of betrayal because pure fidelity to a text is impossible ... Cantor creates a compelling vision of what love is. It's not a feeling but — like translation — an act: a willful opening of one self to another. Ms. Cantor is unafraid of asking big questions explicitly, like whether fidelity — to texts or to people — is possible. The complicated details of Romei’s schemes and Shira’s past start to pile up and will satisfy lovers of plot, but the novel is at its strongest when Shira’s voice is loosely playful and ruminative. Cantor is excellent on the challenge of translation, the intertwining roles of traduttore/traditore – translator and traitor. 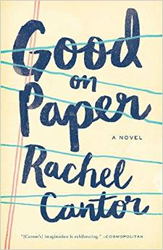 Good on Paper is littered with illuminating and often amusing insights ... Good on Paper is a multilayered, cleverly structured novel. The balance between an emotionally engaging tale of family on the one hand and an intellectual exploration of translation on the other is not always perfect, but, despite this, Cantor creates a playful and rewarding read. What did you think of Good on Paper?